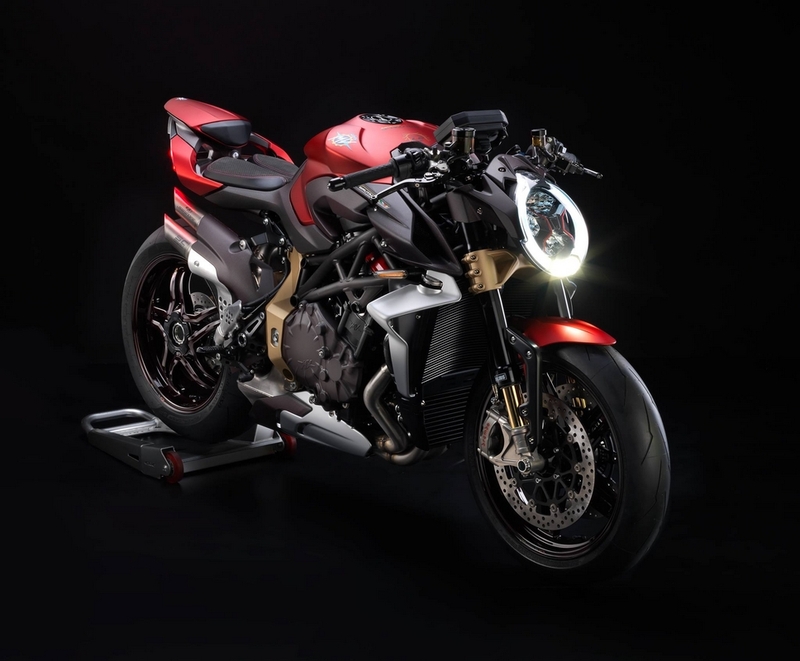 Naked fury: MV Agusta Brutale 1000 Serie Oro makes 208 Bhp! 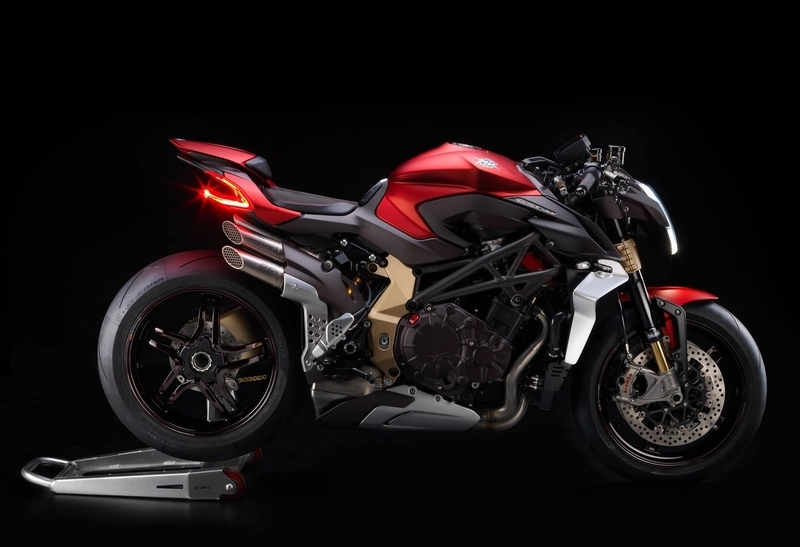 Thread: Naked fury: MV Agusta Brutale 1000 Serie Oro makes 208 Bhp! MV Agusta is all set to release a furious naked motorcycle. 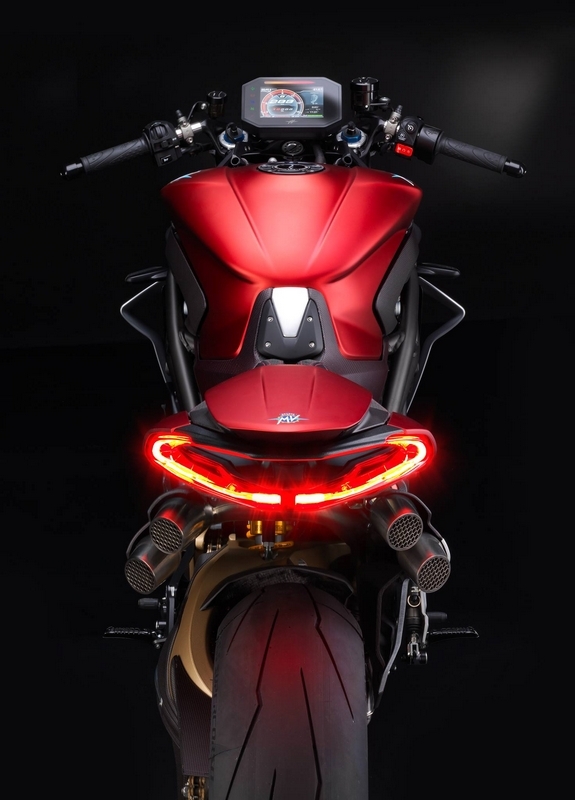 It is called the MV Agusta Brutale 1000 Serie Oro and it makes a very serious and very scary 208 Bhp. This number is attained at 13,450 rpm. It also makes 115.5 Nm of torque and it weighs just 185 kg. We have always wondered what is too much for a naked sportbike and now we have the answer. Also, with the dedicated racing kit, consisting of an engineered SC-Project titanium exhaust system and dedicated ECU, the maximum power is increased to exceptional value of 212 Bhp! It is being said that the F4 RC was the starting point for developing the engine in the all-new Brutale. Pioneers of the “composite chassis structure” with steel trellis connected to aluminium side plates, MV Agusta has maintained this engineering concept – also applied to the new Moto2 bike ready to compete in 2019 – but evolves it significantly on the Brutale 1000 Serie Oro. In collaboration with Eldor, MV Agusta has developed a new ECU dedicated to the Brutale 1000 Serie Oro. Managed by a full multimap Ride-by-Wire system and regulated by an IMU inertial platform, the Brutale’s riding dynamics are comparable to that of a true Superbike. A single-sided swingarm, 1432 mm wheelbase, and the electronically adjustable Öhlins fork, fastened to steering triple clamps that have been redesigned and engineered from scratch for the all-new Brutale 1000 Serie Oro. The Öhlins TTX36 shock absorber and the steering damper are also managed by a dedicated electronic ECU. The inertial platform manages both the traction control (which can be adjusted to 8 levels or deactivated) and the anti-wheelie system which provides two options active or inactive. Completing the electronics package are the Launch Control and EAS 2.0 Up & Down electronic gearbox systems, active both in up and downshifting. An aerodynamics study aimed at improving downforce and high-speed stability is clearly visible with the spoilers applied beside the radiator, markedly improving the load on the front wheel at high speed. The downforce effect begins to contribute significantly at speeds over 200 kmph improving stability and acceleration. The braking system is, as always, state-of-the-art with the new Brembo Stylema calipers that grip 320 mm diameter floating discs. Electronic ABS management is entrusted to the Bosch 9.1 ABS system, the most compact and lightweight on the market. The Brutale 1000 Serie Oro comes standard with tyre pressure sensors and a Gold Racing chain. Carbon-fibre rims treated with a special transparent red paint contribute to reducing unsprung mass and inertia to a minimum. The lithium battery was a must, as well as many CNC machined components. The result is a total declared kerb weight of 184 kg. The headlight is Full LED and can rely on Cornering Lights, controlled by the inertial platform and able to illuminate turns based on the lean angle, all beneficial for safe riding. For the first time on a bike, the internal part of the headlight unit is coloured and forms an “X” shape that the steering base also takes on. All of the vital engine and electronics functions are displayed on the 5-inch colour TFT dashboard with 800 x 480 pixel resolution. The rider’s smartphone can be connected via Bluetooth to the dashboard to manage incoming calls, texts and music. This is one crazy, crazy piece of ‘art’ as they call it. That’s all folks, we are speechless. Suzuki GSX-S1000 - The Naked Fury!